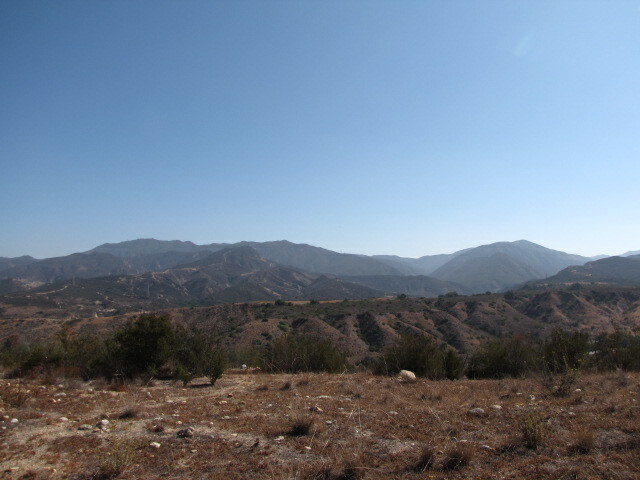 Location: Silverado, in the foothills of the Santa Ana Mountains. From the 55 Freeway, take the Chapman Ave. exit and head east for a total of 7.7 miles (Chapman becomes Santiago Canyon Road en route). Shortly past Irvine Lake, look for the Augustine Staging Area, turn right and park as directed in the lot. From I-5, take El Toro Road and head northeast for a total of 14.2 miles (El Toro becomes Santiago Canyon Road). The Augustine Staging Area is on the left, 1.8 miles past Silverado Canyon Road. 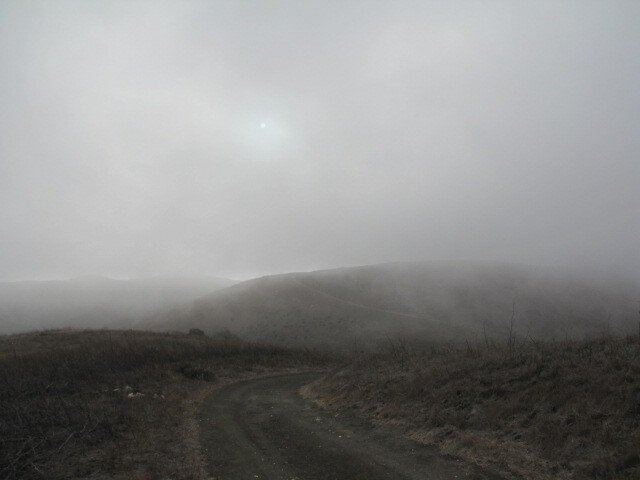 This loop is a longer version of the popular Shoestring Loop in Limestone Canyon Wilderness Park. 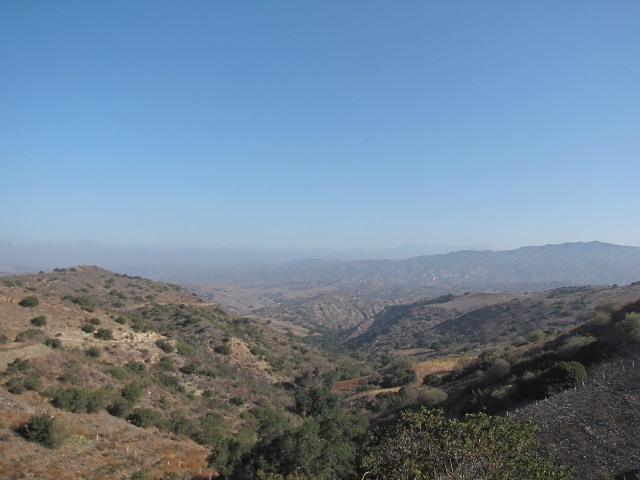 Like the Shoestring, this hike can be done on Wilderness Access Days in Limestone Canyon or as part of one of several docent-led hikes scheduled through the year (it will be next offered on Friday, 11/14 and Friday, 12/5). Click the Irvine Ranch Company link for available dates. The full version described here is more than 10 miles long, but if you are hiking independently on a Wilderness Access Day, you can shorten the loop to just under 8 miles. On the guided hikes, the volunteer docents may give the group the option of shortening the hike, but be prepared for the full route–almost all of which is exposed. Begin by heading toward the Hicks Haul Road. Turn right and follow it for a short distance to the Shoestring Trail, a single-track. Cross a wooden footbridge and follow the Shoestring Trail for about 0.7 miles as it parallels Santiago Canyon Road, making its way up and down a few short but steep hills. 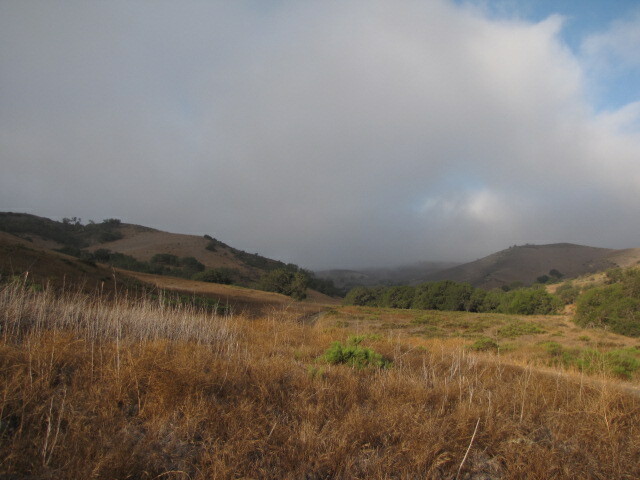 To continue toward the Sandtrap Trail, bear right on the Hicks Haul Road and go a short distance to the East Loma Ridge Road. It climbs for about a mile, taking in some excellent views in all directions, finally reaching a junction with the Sandtrap Trail. Turn left and make a brief ascent to the highest point on the hike, just over 1,600 feet in elevation. 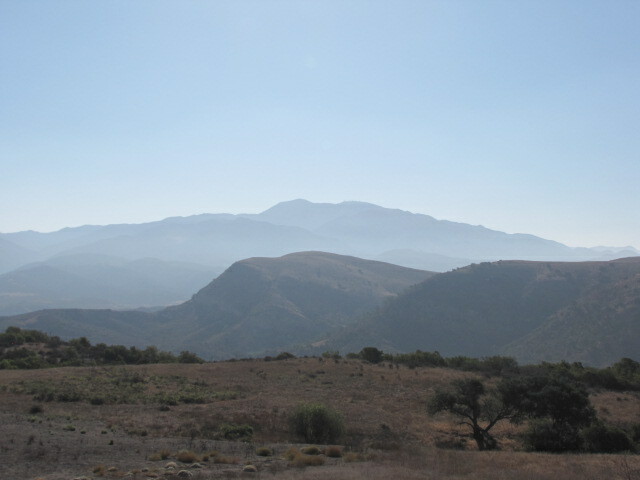 Enjoy some more views, which may extend to the San Gabriels if visibility is good, before beginning a steep descent. The Sandtrap Trail follows a curving ridge that drops almost 700 feet in 1.4 miles. 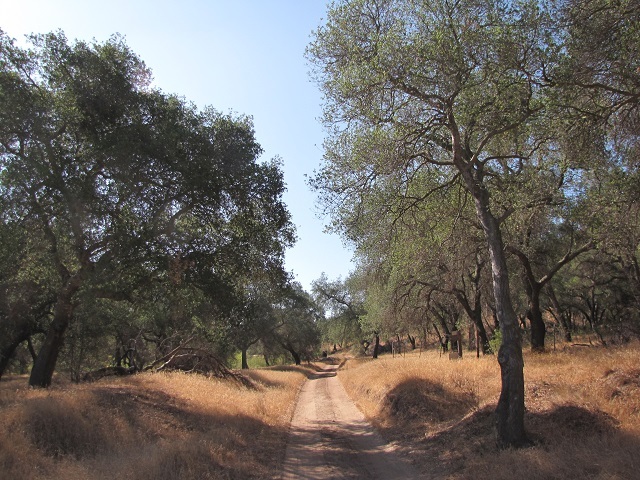 At 6.3 miles, you reach a T-junction in oak-shaded Limestone Canyon. 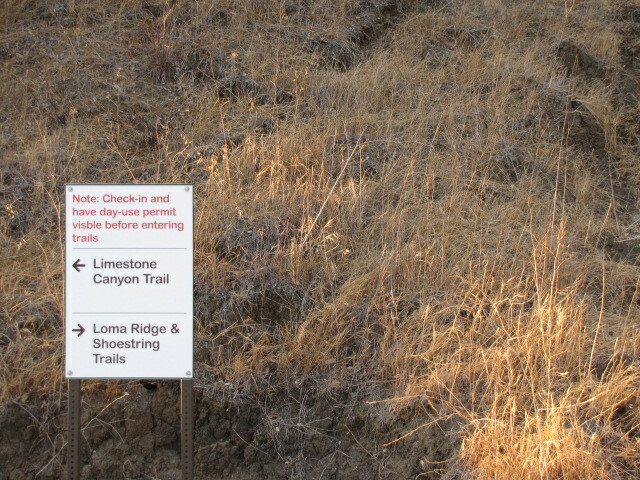 If you want to end the hike here, turn left and follow Limestone Canyon Road about 1.4 miles back to the trailhead. 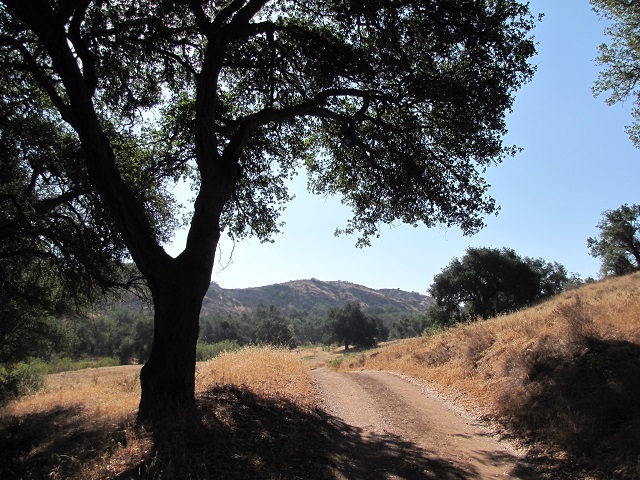 To extend the hike, turn right and follow the fire road up a gradual incline for a mile, enjoying a little bit of shade from sparsely spaced oaks and sycamores, to the Raptor Trail. The single-track Raptor Trail crosses a footbridge and begins a rather steep climb, gaining 250 feet in half a mile. 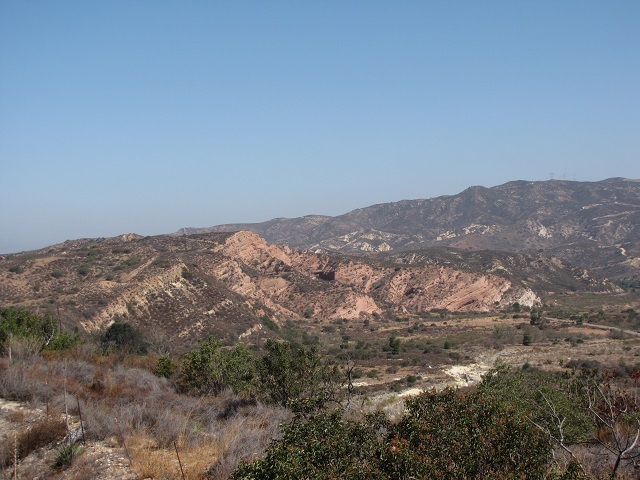 At Limestone Ridge, turn left and follow the trail up and down some bumps, noting the characteristic sandstone geology of Black Star Canyon in the distance. 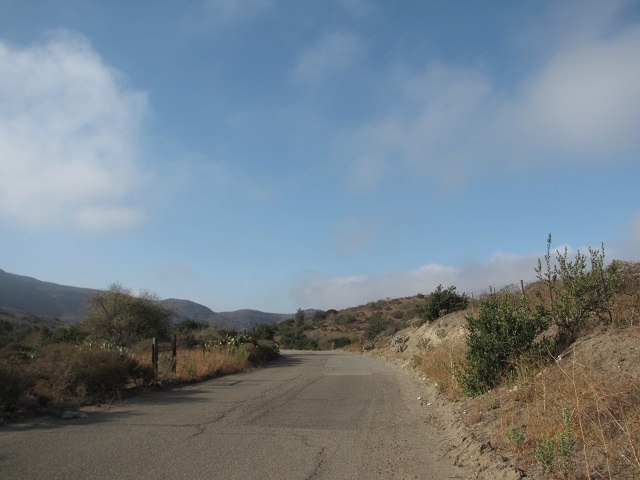 A steep descent brings you back into the canyon (9.2 miles from the start) where you bear right on Limestone Canyon Road and follow it just over a mile back to the parking lot.